There needs to be a balance between good structure and air, water and nutrient-holding capacity. If you grow more than one plant in the same container, there’s more competition for these resources. So, you’re asking a LOT of your potting medium! Too much moisture will often kill plants by drowning their roots and filling the air pockets. Too many air spaces cause roots to dry out and water to flush through too fast. Both can result in dead or stressed plants. Garden soil varies widely with combinations of sand, clay, loam, organic matter and even rocks. Many soils also harbour pathogens or plant diseases, environmental contaminants such as herbicides and may be too compacted. If you struggle to grow plants in your garden soil, putting it in a pot will very likely not improve results! 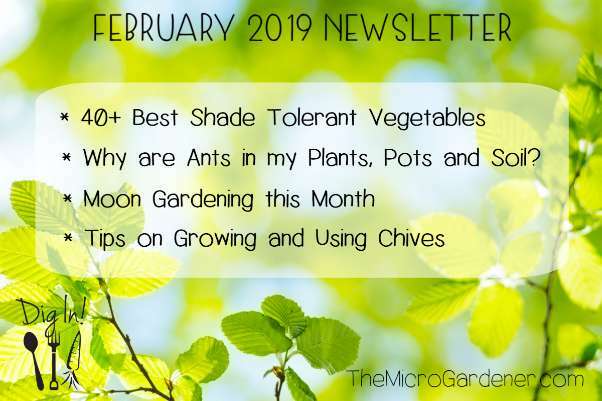 You may be lucky enough to have a healthy fertile garden soil that’s high in compost and microbes. However, these are not the only qualities needed for a demanding quality potting medium. In a garden bed, plant roots are not confined, so can more easily seek out the space, nutrients, aeration and moisture they need. However, garden soil is too dense to meet plant requirements in pots, unless it’s mainly compost and you amend it with other ingredients to improve its properties. 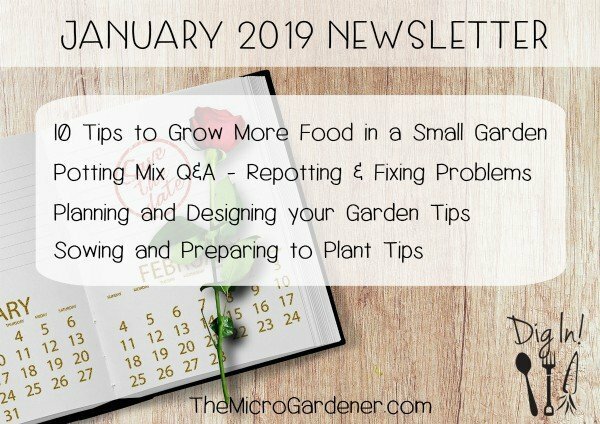 The bottom line is you need control over the quality of your potting mix and rarely is garden soil up to the job. I usually make my own potting mix from scratch for that very reason. 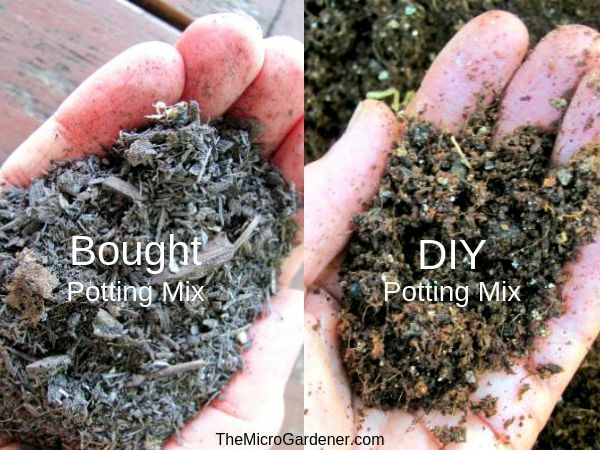 Another easy alternative is to modify a certified organic potting mix with additional ingredients. Why? Commercial potting mixes dry out too quickly as they are most commonly based on pine bark, which starts to repel moisture. With a few ingredients and an easy recipe, you can make your own potting mix or amend a bagged mix. Make a long lasting, nutrient-rich and moisture-holding potting mix and grow healthy plants. I show you how in this easy-to-follow ‘How to Make Potting Mix at Home Guide‘. Thyme (Thymus vulgaris) is one of the most popular Mediterranean herbs. We all complain we don’t have enough time, but once you start using this herb, you’ll realise how precious thyme is! This attractive, compact evergreen perennial herb has delicate tiny green-grey leaves on thin woody stems. It’s perfectly suited to pots on sunny window sills, small space gardens and beginner herb gardeners. Thyme is hardy, low-maintenance, sun-loving and needs little water. It’s ideal to use as an edging plant along walkways so you release its fragrance as you brush past. It partners well with oregano, marjoram, sage and rosemary as they have similar needs. Sow seeds in spring or take cuttings in warm weather. Thyme prefers a very well-drained soil in a full sun location with good air circulation. Avoid shading out by other plants. Thyme prefers a drier soil and hates being overwatered. Regular pruning helps encourage new leaf growth and stop the stems becoming woody and straggly. The name ‘thyme’ means ‘to fumigate’ and it has many medicinal uses. Thyme’s essential oil contains a powerful disinfectant agent called thymol that has been found to be very effective against bacteria and fungi. A few drops of thyme oil added to water acts as a fumigant room spray during sickness. Thyme is rich in vitamins A, B and C and many minerals including calcium, magnesium, selenium, zinc and iron. It has antiseptic, antimicrobial, anaesthetic and antibacterial compounds which are incredibly useful to ward off infections and heal. You can benefit from these healing properties, pain-relieving compounds and thymol by making thyme tea. Warm tea can be used as a mouthwash gargle to relieve sore throats, inflamed gums and laryngitis (combine with sage) and to kill germs. Thyme grows to 25cm (10 in) high in a compact clump with pretty pale mauve flowers. Dried thyme – crumbled or ground – makes a delicious salt substitute to help flavour meals. Use on its own or combine with other dried herbs like parsley, sage, chives and oregano. Keep in an airtight herb jar on the table as a healthy alternative to salt with the benefit of digestive enzymes. Pick a sprig or two and run your fingers down the stem to release the tiny fragrant thyme leaves. I sprinkle them over potatoes, tomatoes and zucchini and when roasting a tray of vegetables. It’s a delicious addition to homemade salad dressing, casseroles, savoury breads and pancakes, soups, sauces, stuffing, rissoles and baked dishes. 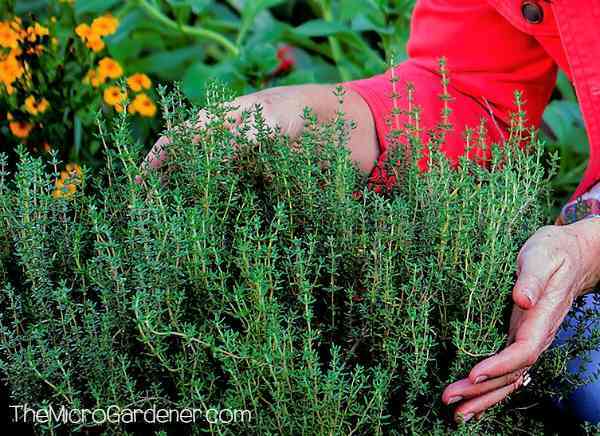 If you want to dig deeper into ways to grow and use thyme and other culinary/medicinal herbs, I share everything you need to know in my Guide to Using Kitchen Herbs for Health. As we head back to the new moon in a few days, we still have time to sow root crops. Here in Australia, we can sow seeds or seedlings like beetroot and radish until 2 April. Garlic and seed potatoes are best sown now for many climates. 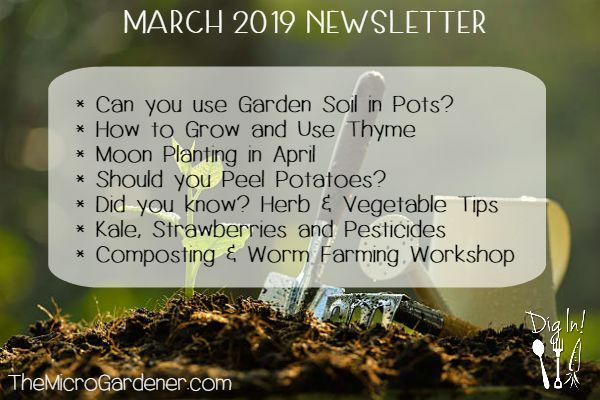 Hold off planting above ground crops like leafy greens until 7 April when the moon’s gravitational pull starts drawing moisture up into plant sap. 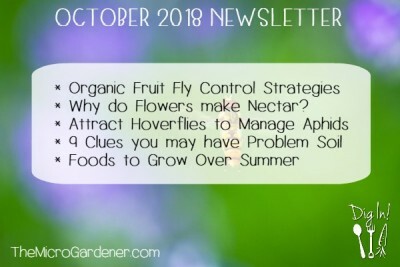 If you can get your timing right to take advantage of sowing in the new moon phase, you’ll see faster seed germination, more robust growth of leaves, flowers and fruit and plants will take up liquid fertilisers for maximum benefit. 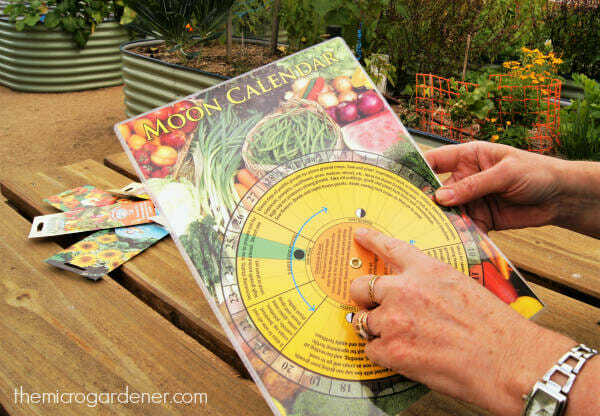 If you’re not yet using a Moon Calendar to TIME your planting, fertilising, propagation and optimise seed raising success, then learn more about the benefits you could be enjoying. As temperatures change, you will need to check what plants are best to sow in your climate. If you live in SE Queensland, Australia, we are finally transitioning into Autumn. As the humidity and temperatures drop, we can plant with less pests and comfortable weather. If you’re not sure what to plant or which garden tasks to undertake during our 5 seasons in SE QLD, I have a Subtropical Planting Guide to make it easy. 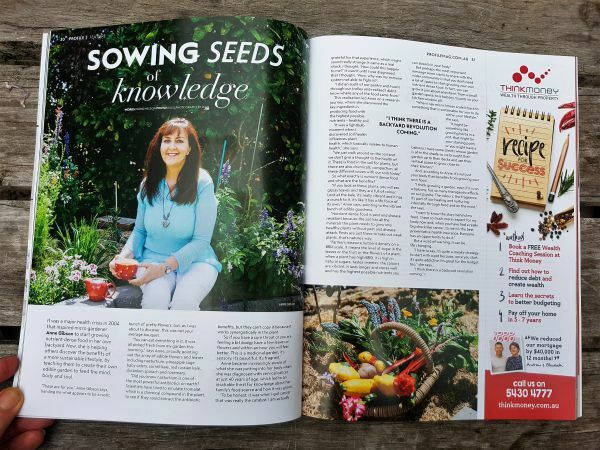 If you live elsewhere, check my article on What to Plant When. The report ‘Behaviour of Pesticides in Plants’ explains that the roots of plants (like potatoes) absorb water-soluble pesticides. During their growth cycle, conventionally grown potatoes are sprayed with fungicides and insecticides. To stop them growing shoots while in transport and storage, potatoes are treated with sprouting inhibitors. In the Environmental Working Group’s annual list of the most contaminated foods in the US for 2019, potatoes make it into the top 12 or “Dirty Dozen” again this year. Regardless of where YOU live, potatoes are grown with similar chemicals and methods around the world. Some of these chemicals are soluble and penetrate the potato skin. According to Jo Robinson, author of “Eating on the Wild Side“, scrubbing the skin removes only 25% of these toxic compounds. Peeling chemically grown potatoes gets rid of up to 70% but the rest of these hidden chemicals still remain inside. 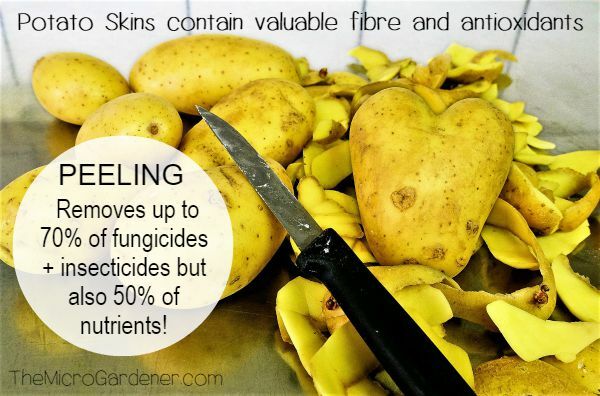 Unfortunately, the peels are the most nutritious part of your potato! Peeling removes valuable nutrients like antioxidants and fibre in the skin. Organic potatoes are not that much more expensive than conventionally grown. So, if you enjoy this vegetable as part of your diet, either buy organic or grow them – and leave the peels on! Herb and Vegetable Tips: Did you know? You can grow potatoes by planting a large peeling from the skin that has ‘eyes’ or buds? In the past, when times were tough, this practice was common place. Red cabbage microgreens contain 40 times more Vitamin E and 6 times more Vitamin C than mature red cabbage. 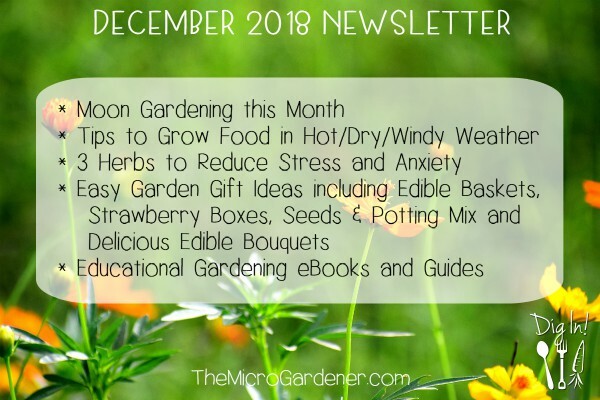 Get your Microgreens Growing Guide. 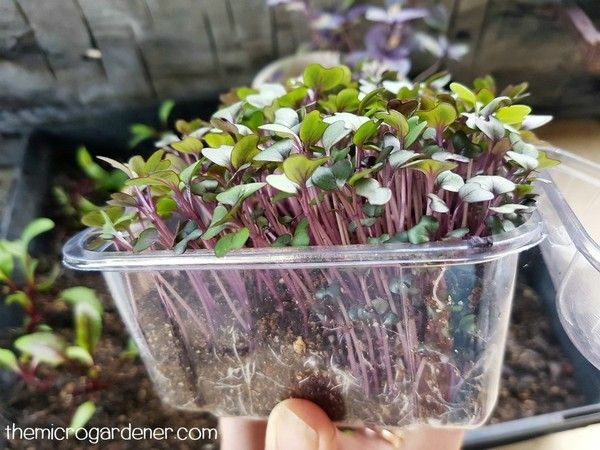 Red cabbage microgreens are more nutrient dense than mature cabbages. Pumpkins interbreed freely! The flowers can easily cross-pollinate with other varieties in your garden or nearby. 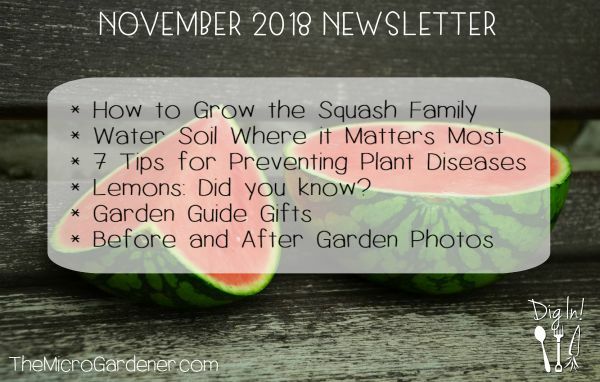 Learn more about growing the squash family. Hanging strongly scented rosemary sprigs near your clothes in the wardrobe can help repel silverfish and moths. Not sure how to get started with composting? Wondering whether you need a worm farm? Don’t know which system is best for you or what the benefits are? Maybe you’re curious how to use compost and worm castings! Wondering who all those critters in your compost are? Or maybe you’ve tried composting or worm farming but had problems. If you need a little help to get started, want to learn how to solve common problems or make a decision on which options are best for your needs, this workshop is for you! FREE but BOOKINGS ARE ESSENTIAL. Join me on Wednesday, 8 May at Noosaville Library, 7 Wallace Drive, Tewantin 4565. Take a shortcut to success with these tips and tutorials. When you make a purchase, you are making a difference by helping support my education work to teach people how to grow healthy food. I look forward to sharing more news and ways to grow good health next month.